The latest technology and modern designs are just a couple of reasons Twisted X boots are a great fit for you. 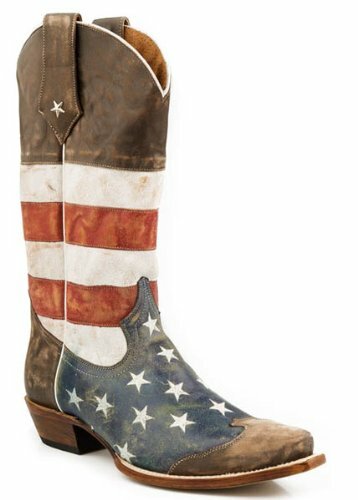 These rustic, bold Western Cowboy Boots are made from genuine leather and feature a bold, colorful American flag design along upper shaft. These striking men's boots are also built to be lasting and comfortable with Twisted X Technology Cowboy Comfort footbeds, which are moisture-wicking and antibacterial. Look awesome when you step out onto the ranch or out on the town in these Twisted X Cowboy Boots. 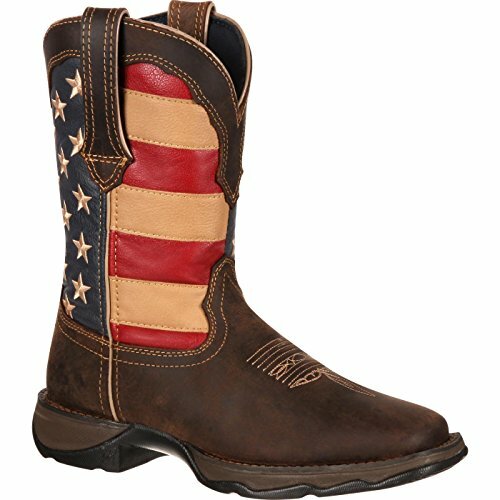 These Laredo Freedom Western Boots show off your patriotic western style! 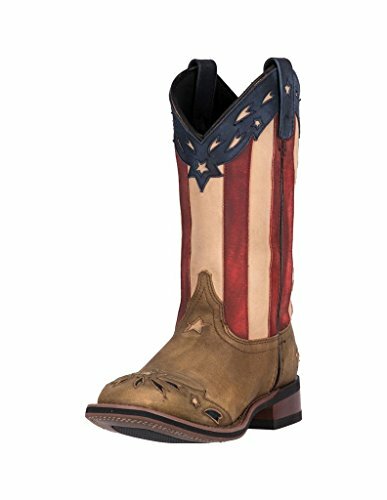 These boots have a stunning Americana design on the shaft and a delicate inlay design on the foot. It features a broad square toe, roper heel, and rubber outsole. These boots are great for ranching and riding, or just showing off your style. Pair them with jeans and a white tee for classic cowgirl style. Full grain leather. Inlay design on foot. Broad square toe. Pull tabs. Material: Leather. Heritage pride is on full display throughout this western boot, including a fun pattern that is revealed underfoot. Kids will enjoy training, riding, and playing while wearing the Children's Stars and Stripes Cowboy Boots by Smoky Mountain Boots! Crafted from high-quality leather, these boots feature a heavy-duty construction that provides superior protection and excellent support in any terrain. Designed with a square toe and lovely embroidery, these shoes incorporate classic elements with modern details for a trendy look that's guaranteed to make your child stand out! Each pair comes with a cushioned sole that promotes proper posture during movement and helps reduce fatigue during all-day wear. 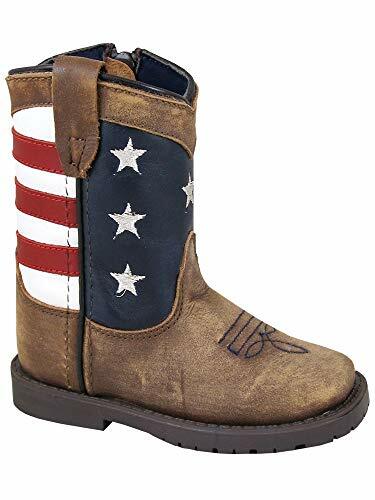 Let your little ones experience unparalleled comfort as they take on amazing adventures with the Smoky Stars and Stripes Cowboy Boots in Vintage Brown. This stylish footwear is available in various sizes. Import. Kids will enjoy training, riding, and playing while wearing the Toddler's Stars and Stripes Cowboy Boots by Smoky Mountain Boots! Crafted from high-quality leather, these boots feature a heavy-duty construction that provides superior protection and excellent support in any terrain. Designed with a square toe and lovely embroidery, these shoes incorporate classic elements with modern details for a trendy look that's guaranteed to make your child stand out! Each pair comes with a cushioned sole that promotes proper posture during movement and helps reduce fatigue during all-day wear. Let your little ones experience unparalleled comfort as they take on amazing adventures with the Smoky Stars and Stripes Cowboy Boots in Vintage Brown. This stylish footwear is available in various sizes. Import. This Lady Rebel by Durango Western Boot will be the most attention-grabbing item in your closet. 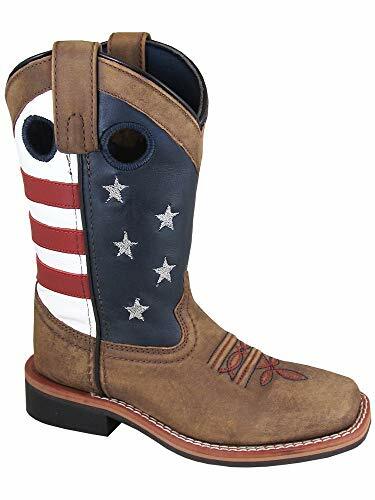 The stunning upper has the American flag on the shaft, full-grain brown leather that looks fashionably distressed, toe bug stitching and pull tabs that make it possible to get this pull-on boot on/off effortlessly. The cushioned footbed is contoured, ventilated and removable. You will receive blissful cushioning; it will help keep your feet smelling fresh by exposing it to air, but the best part is, since it's removable you are always able to add in more cushioning once it begins to wear down. 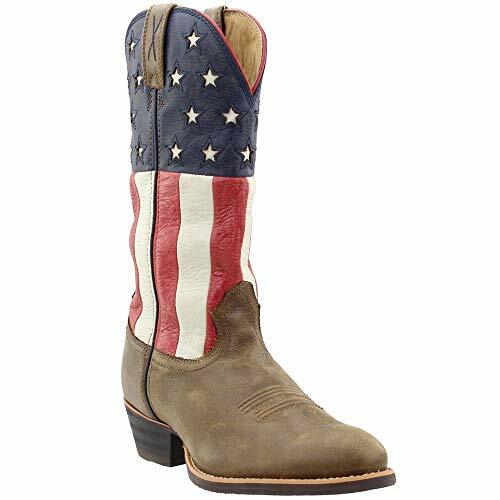 These 10" Lady Rebel by Durango Pull-On Western Boots are stylish, patriotic and comfortable. In essence, these are the perfect boots for you to be wearing. 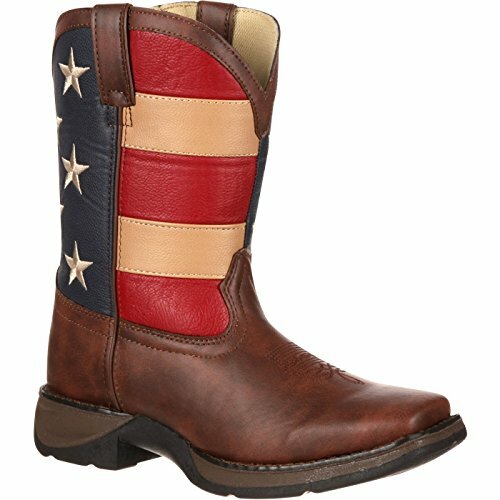 Wear a fun western boot that shows your American spirit! 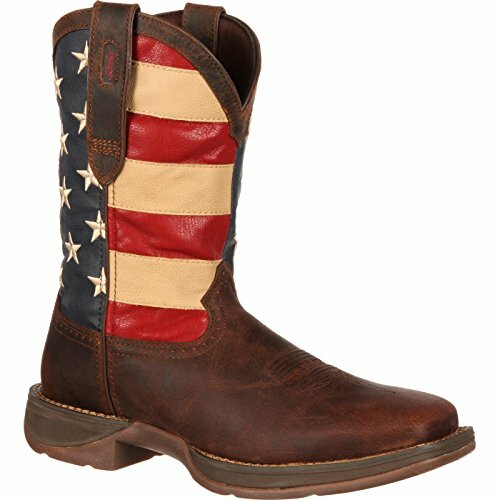 It's the comfortable Rebel by Durango Patriotic Pull-On Western Boot. Don't miss the design on the sole!